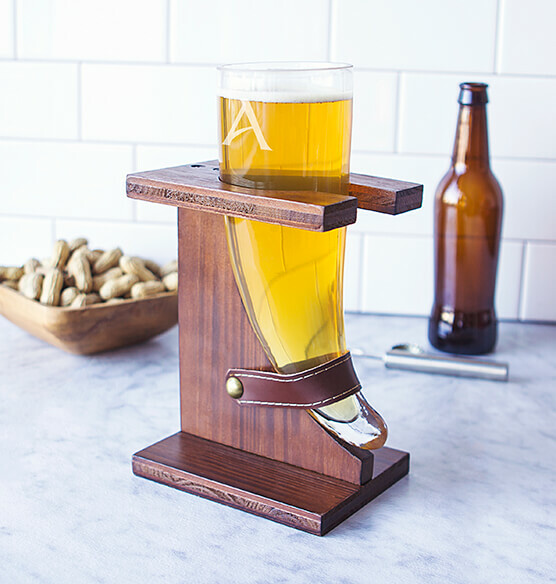 A drinking vessel worthy enough to hold your brew is the Personalized 16 oz. 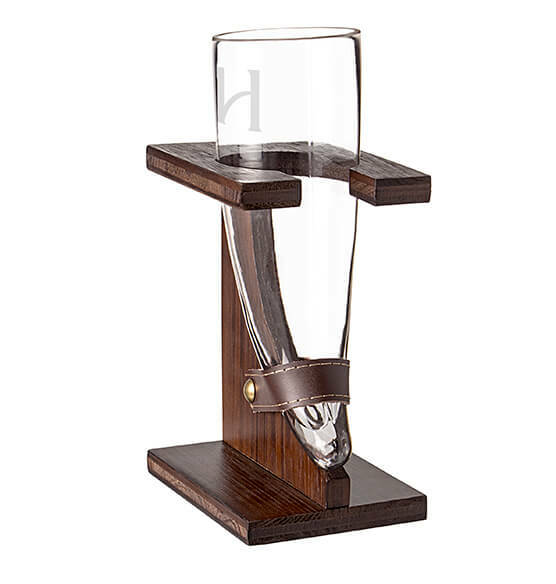 Glass Viking Beer Horn with Rustic Stand. 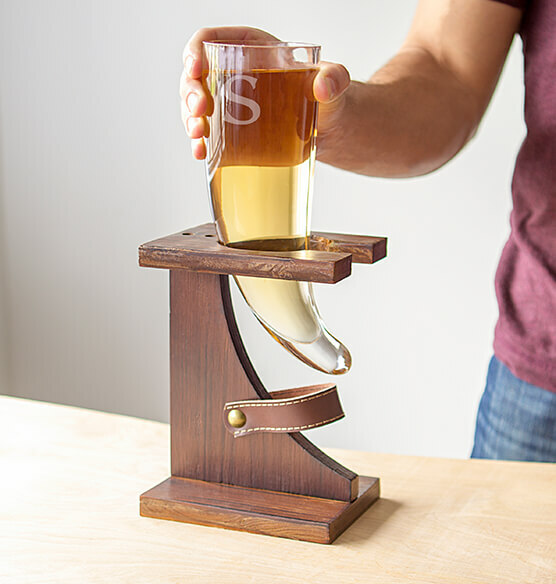 This unique novelty features the classic Viking drinking horn shape and a rustic, sturdy wooden stand with a leather strap for a secure hold. 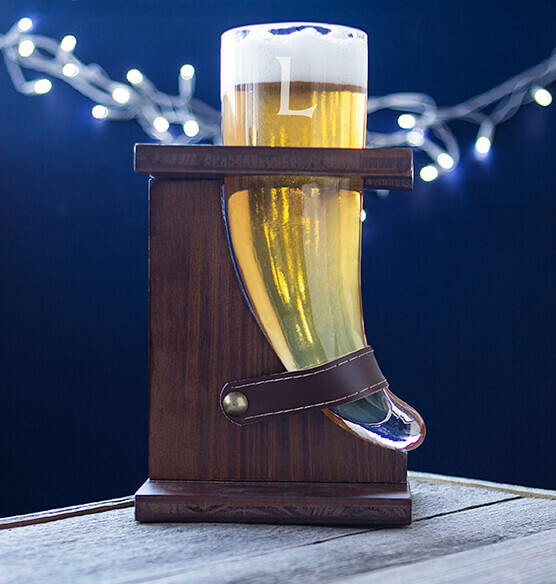 This Viking drinking horn is an unusual gift perfect for beer lovers who seek adventure and glory. 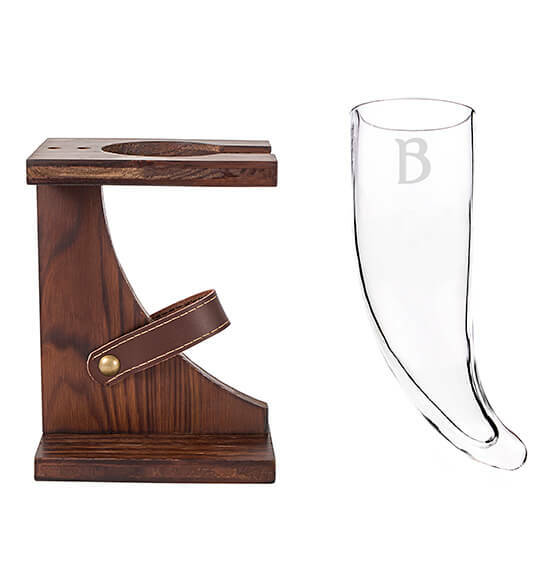 Includes: One (1) glass beer horn and one (1) rustic wooden stand.